I took over this gym in early 2016 and re-branded it to the new franchise Fitness:1440. From day one, we have worked hard and continue to strive, to bring you the best training facility/full featured gym in the area. I have a sports background and have spent most of my life, in one way or another in a gym. So, it only made sense for me to own one at some point. We are trying to get away from the traditional standard fare gym, that is why right off the bat, we blew out the walls and expanded next door to include a fitness studio and interval training room. Our focus from day one has been customer service and going the extra mile to make sure everyone has what they need to accomplish their fitness goals. We have plenty of new things coming soon, and hope you can join as they unfold. Fitness is here to be enjoyed! It provides us with the ability to enjoy a healthy active lifestyle. The beauty is getting to choose your own fitness adventures, the options are endless. 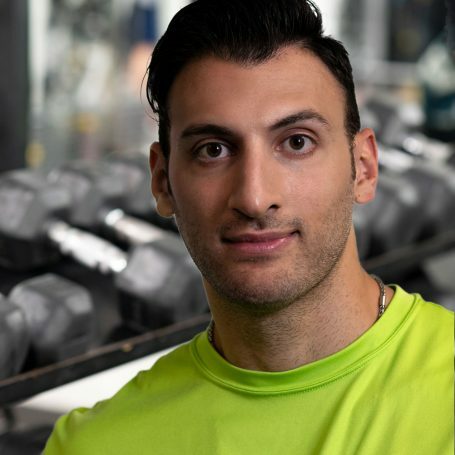 As a passionate certified personal trainer, Z’s role is to motivate, enable, and make training a fun and rewarding experience. He loves to see his clients achieve their personal health and fitness goals, through a tailored approach of regular fitness adventures, filled with continued improvement. Z knows people can achieve their goals no matter how big or small. His expertise is believing in people even when they do not believe in their self. Z is NASM and AAAI certified and has been professionally training others since 2014. He is also training himself for a physique show in 2019. Nan started working for Gold’ s Gym in 1993. 25 years later, her passion for the fitness industry is as strong as ever. Nan holds a national certification with The International Sports Science Association, a B.A. in Psychology, and a dual M.S. in Sports Fitness and Health/Sports Studies. She holds various other specialty certifications as well. She specializes in female strength training, senior training, nutrition, and youth sports specific training. 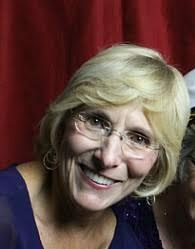 Nan is a veteran trainer with hundreds of amazing client success stories. From helping clients lose over 250 lbs, to seeing senior citizens who had all but given up, find themselves in the best shape of their lives. Nan’s motivational style and personality instantly puts clients at ease. Her greatest compliment is the large number of referrals she receives from current and previous clients. Nan is innovative and consistently strives to create new programs and classes for the Fitness 1440 franchise. Extreme Lean is her signature program. Look for it! Ask about it today. It’s a one of a kind training adventure like no other! Nan is a proud mother and adventurer. She surrounds herself with the most positive, amazing family and friends on the planet! 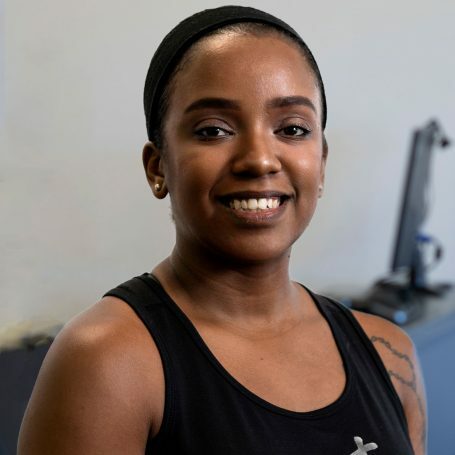 Toi Epperson has been a certified personal trainer and group fitness instructor for Fitness:1440 since 2016. Playing sports as a child and even into high school, she had always been into fitness and staying healthy. In 2008, her real fitness journey began as she decided to live the best and healthiest life that she possibly could. Toi started studying and using different training styles for her personal goals. She quickly fell in love with the process and challenges she was facing and realized that this was not just her body that was transforming, but also her mind. Her passion is to show others how to overcome whatever obstacle stands in the way to become the best version of you. 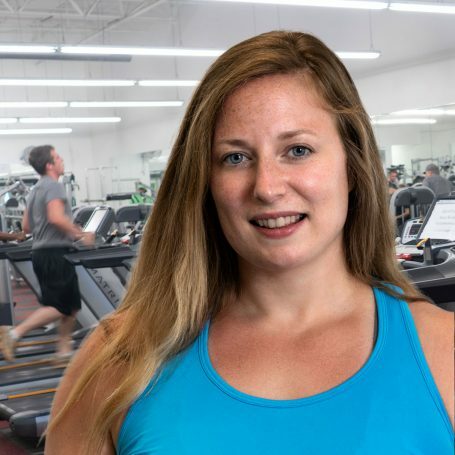 Her goal as a trainer is to shift a person’s focus from scale numbers, fad diets and body charts to a focus on a healthy lifestyle and enjoying that healthy lifestyle. Adrian brings a unique set of skills to Fitness 1440. 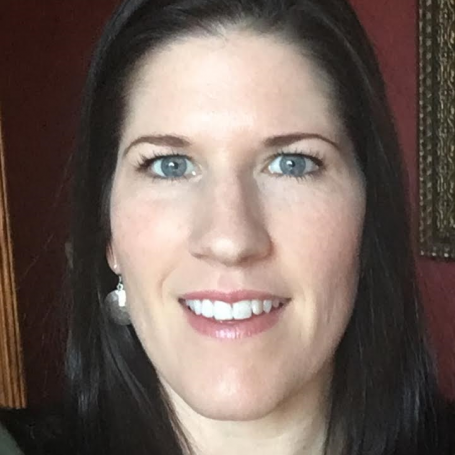 She has been a Licensed and Registered Respiratory Therapist since 2010, and has worked in all areas of critical care, trauma, pediatrics, including premature babies. Adrian has worked as a Clinical Specialist traveling the Southeast Region raising awareness about lung disease and autoimmune disease. Adrian thoroughly enjoys advocacy work and is a Georgia State Captain for the COPD Foundation. 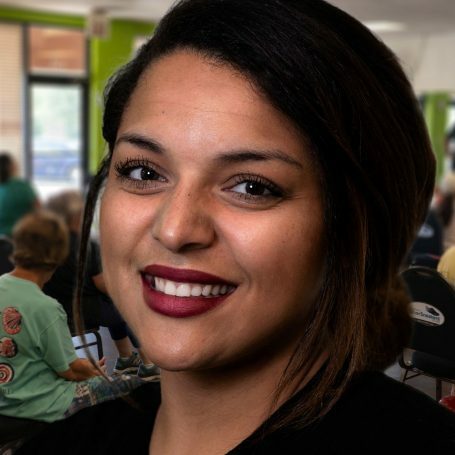 As a Georgia State Captain, Adrian has dedicated her life to advocating for those living with chronic diseases/disorders for people of all ages. Adrian is an advocate and resource in multiple social media forums, dedicated to people living with chronic conditions. Adrian is an Active Duty Army Veteran that served both pre and post 9/11. 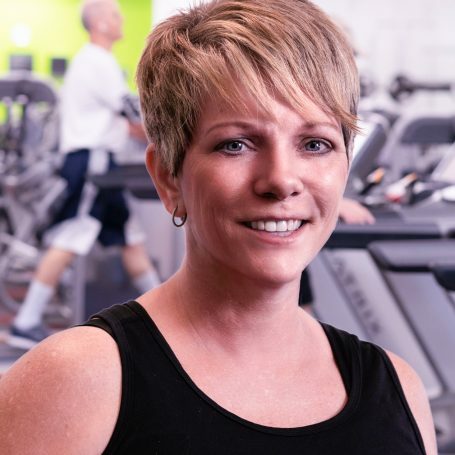 Adrian began her fitness journey 5 years ago after battling for many years with chronic back pain and weight gain that stemmed from back surgery during her time in the Army; and began working with a personal trainer that transformed her both inside and out. 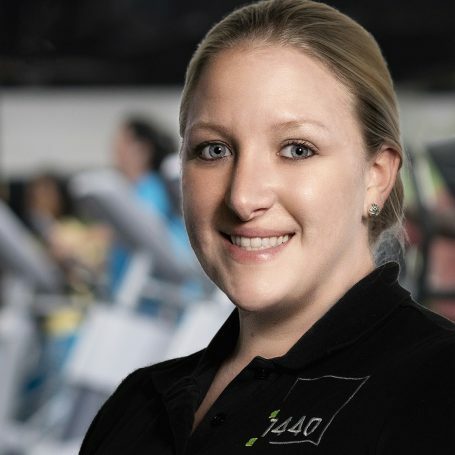 Adrian made the decision to become a Certified Personal Trainer 3 years ago to “pay it forward”, by teaching her clients everything that she has learned along her own personal journey. Adrian works incredibly hard to improve the health and overall quality of life for each of her clients. Adrian specializes in clients living with chronic illnesses, autoimmune diseases, strength and conditioning, weight loss, power building, and youth fitness. Paulaina has been a part of the fitness world for five years. A healthy lifestyle and a passion for running has always been a part of her life, from running track in high school to having completed four half marathons and numerous lower mile races in recent years. She holds a certification as a Pre and Postnatal Fitness Specialist. As a mom herself she is passionate about empowering mothers and future mothers with the knowledge to maintain their healthy lifestyles and encourage women that want to begin a voyage to healthy living. She truly believes that healthy living and fitness are the key to a happy life. 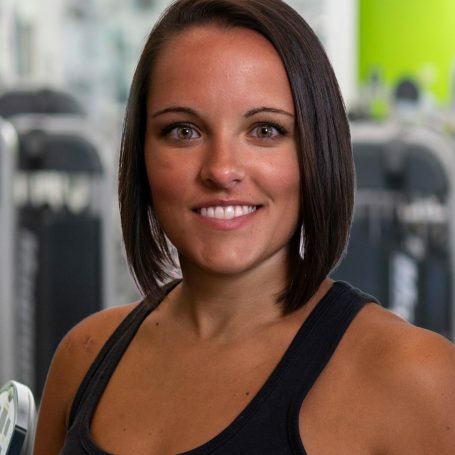 In her career as a fitness professional her passion for fitness and helping others is front and center. Certified Zumba Instructor and Zin member. I enjoy helping my clients reach their fitness goals daily, by challenging them during class. My joy comes when my clients tell me that they have seen results from attending my classes and maintaining healthy eating habits. Working out is not easy, but I have seen my clients push forward through the toughest of times. This definitely brings me joy. My clients are like family and our classes are like a reunion. Our motto at Any Bodies Zumba is; The Total Body Experience Where Every Body Gets a Work Out! So come out and join us for fun times and a great work out where you will definitely get SMASHED!!! Rita began practicing yoga as a high school student in Los Angeles. From that early introduction, 50 years later, she still loves and now teaching yoga. Her passion is to create a sense of belonging in her classes by coupling her serious dedication with a lighthearted approach. In this way, you will find her classes are alive with friends and humor based on connecting real life situations to the physical practice. Rita encourages new students to join in and enjoy practicing yoga. Her creative spirit is used to share a unique experience … no two classes are equal. Each class touches the heart, spirit and mind using the breath and body. She is constantly approaching yoga from different angles yet maintains a steady commitment to alignment, physical well being, and emotional safety. My name is Casey Wood and I am a personal trainer and group fitness instructor. I am a former Kickboxing gym owner and have formerly been licensed as a corner/trainer in 3 states in the Southeast for MMA. I have been involved in fitness and health most of my life and thoroughly enjoy every aspect it entails. Kickboxing is a long-time passion of mine and I can’t wait to share in that passion with you all here at Fitness 1440.